Leading a low stress lifestyle has many benefits for your physical, mental and emotional health. It’s pretty obvious that we all feel better in a peaceful and harmonious atmosphere as opposed to a chaotic, loud and overly stimulating hodgepodge of noise, lights and busy view. However, our modern age, many of us are in the midst of the later type of environment or at the very least pass through that type of physical environment every now and then. How can we help our bodies maintain homeostasis? What can we do to relieve stress naturally? Long-term lifestyle habits such as eating well, getting adequate rest, staying active, spending time outdoors and nurturing healthy familial relations help protect us from chronic stress, which can destroy our quality of life. Both as coaches to hundreds of clients and as people who have had various phases of fatigue, sleeplessness and stress in the past, we have seen the benefits of adaptogenic herbs first hand. While adaptogens are some of our top go-to tools in our regular health routine, not everyone needs every kind. Different plants work better than others for different people depending on circumstance. There are a variety of adaptogenic herbs available, sourced from around the world. It’s best to take them in a targeted fashion, for a specific reason. Begin with one at a time so you can identify the influencing variable if you notice feeling different. 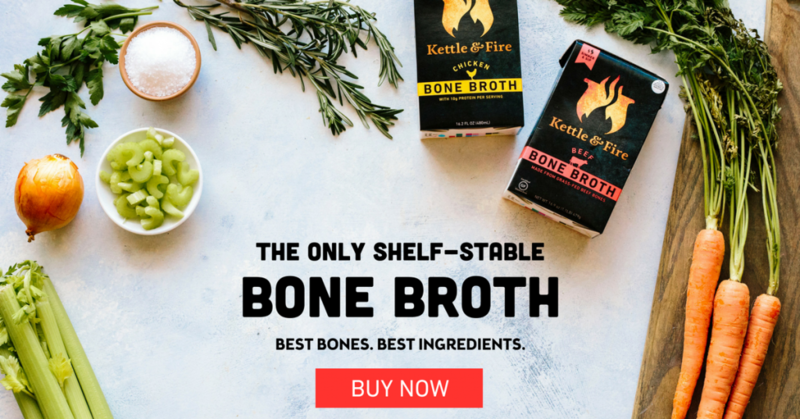 I’d like to guide you through the three adaptogens that we’ve used in our herbal cabinet for almost a decade so you can decide if they would be right for you also. When you begin with a new adaptogenic herb for natural stress relief (or other reasons), be sure to cycle it appropriately (see more about this below in: How to Cycle Adaptogens). Adaptogens are a certain class of “medicinal plants that augment resistance to stress, and increase concentration, performance and endurance during fatigue.1 In sum, these certain types of plants help balance, restore and protect the body. They work in nonspecific ways to increase “resistance against physically, chemically, biologically and psychologically noxious factors (“stressors”), normalizing effect independent of the nature of pathologic state.2 Meaning, even when you would normally be sent into a “flight or flight” state with rising cortisol, adaptogens can help calm your hypothalamic-pituitary-endocrine axis. Take away: Adaptogens have nonspecific functions that offer widespread support to help balance, restore and protect the body in response to stressful influences ranging from lack of rest, illness, toxic mental and physical environments, blue light and intense work load. There isn’t a single person I know that doesn’t feel the “stress” of modern living. The toxic effects of stress are permeable and can be long lasting. Adaptogenic herbs for natural stress relief have proven “anti-fatigue effect(s) that increases mental work capacity against a background of stress and fatigue, particularly in tolerance to mental exhaustion and enhanced attention5.” Some adaptogens are better for calming the body, others better for stimulating it. Personally, I feel a general reduction in stress, improved attention span, mental energy boost and increased clarity of thought. Similar affects have been studied in animal studies6. The following is an excerpt from my FREE EBOOK Maca: The Andean Adaptogen. Maca is sourced from the Andes of South America. It is a dietary staple, used for centuries, that allows the indigenous people to thrive where altitude and extreme weather render it difficult for most animals and even plants to survive. In Peruvian culture, the maca root is esteemed as a source of vitality, energy, stamina and fertility. For more on the history, lore and cultural significance, please download Maca: The Andean Adaptogen (free ebook). The University of Lima in Peru is the leading research center focused on maca. Various studies provide evidence that maca has favorable effects on memory and mood. A significant concentration of neuroprotective effects have been noted and studies claim maca may also decrease anxiety. You can find more studies and complete annotation here. Quality of maca is very important. We used to import maca from South America to the USA and are well-versed in spectrum of maca products out there. We stand behind the quality of Mountain Rose Herb’s maca powder and recommend them as a high-quality brand that dries the maca at low temperatures in a manner that preserves the nutrition of the root. Take away: Maca can be incorporated into your wellness routine if you struggle with fatigue and malaise. I like eating maca powder mixed in with MCT Oil (a great preworkout!) or in homemade chocolates (lots of recipes in my free Maca Ebook – instant download). 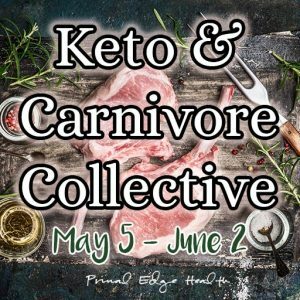 I recommend maca as an ingredient in some of the recipes from The Ketogenic Edge Cookbook and The Ultimate Guide to Low-Carb Baking. As much as I love it, the nutty, butterscotch-like taste isn’t for everyone. If this sounds like you, try the maca extract first. Eat maca with breakfast or in-between your morning and afternoon meals. I take maca allllll the time! It is by far my favorite adaptogenic herb for natural stress relief and noticeable energy boost (but not one that makes you jittery like caffeine). I like it best in the morning combined with cacao. I love the energy boost I feel and calm clarity of mind I get. Ashwagandha is a plant traditionally used in Ayurvedic medicine for various reasons, most notably to support the brain-adrenal (HPA) axis, strengthen the immune system, reducing stress and regulating cortisol. A specific study from 2012 tests ashwagandha in a randomized double-blind, placebo-controlled study of safety and efficacy in reducing stress and anxiety in adults. The conclusion is that after 60 days, those in the ashwagandha group reported a 69% average reduction in anxiety and insomnia, compared to 11% in the placebo group7. The study remarks ashwagandha “improves an individual’s resistance towards stress and thereby improves self-assessed quality of life8”. Take away: Ashwagandha can be incorporated into your wellness routine if you struggle with stress and anxiety. I recommend an ashwagandha extract which can be taken in the morning, evening, or both. Try at different times of the day and see which works best for you. Ashwagandha is also available as a powder, but the flavor is quite strong tastes very medicinal. It isn’t a flavor for everyone. If you are someone with a green thumb, you may think about growing your own ashwagandha plant from seed! I love growing medicinal plants in my own garden; learning about them and tending to them brings me that much closer to my food supply and the wonder of the plant world. 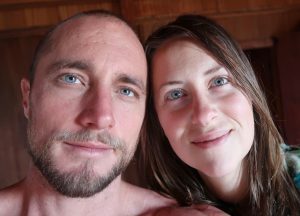 Ashwagandha is a root I use regularly as an antidote to sleepless nights (especially in the first months post partum). A cup of strong chamomile tea and a dose of ashwagandha is my go-to remedy that helps me stay strong, calm and patient throughout the day. One of Ayurveda’s sacred herbs, holy basil, also called tulsi, has been historically used to combat stress and promote immune health. While holy basil is similar to sweet basil, holy basil leaf has more of a peppery, clove-like taste. If you grow your own plant or have access to fresh or dry leaf, it can be used in stir-fry’s, soups, sauces and meats. In 2015, a study was published that associated intake of holy basil with enhanced cognition9. There are three phytochemical compounds found in holy basil that seem to be effective in improving stress response. The first two, ocimumosides A and B, are anti-stress compounds that may lower blood corticosterone (another stress hormone) and create positive connections between neurotransmitters10. The third compound is 4-allyl-1-O-beta-D-glucopyronosyl-2-hydroxybenzene, which has been shown to lower stress parameters scientific studies11. Please Note: Holy basil is not recommended to be used in pregnancy except under the supervision of a qualified healthcare practitioner. Take away: Holy basil (Tulsi) can be incorporated into your wellness routine if you struggle with brain fog, anxiety, and want increased cognitive function. Holy basil is available in herbal extracts and capsules. I suggest holy basil later in the day and at night. You can also sip on cups of Holy Basil Chai tea to enjoy the benefits of holy basil and traditional chai flavors or Tulsi Delight Tea, an uplifting and energetic tea mix of cooling and pungent herbs. After a long day of work or extra hours on the computer, I take holy basil to calm down and relax my mind. If I am acutely stressed or anxious about something in my life I might take holy basil to help clear my mind of the potentially overwhelming chatter in my head and help me focus more clearly on the task at hand (public speaking, writing, organizing taxes…). I notice improved sleep after taking some about an hour prior to going to bed. It is important to cycle adaptogens. Some people take adaptogenic herbs multiple times a day, some just once a day, depending on needs. If you take adaptogens, be sure to cycle them. Without taking a break every now and then, your body will adapt to the adaptogens. If you feel the effects from these herbs decrease, it’s time for a break! You can decide how to construct your pattern, take one day off a week, one week off every six weeks, or one month off every six months. Be patience with these herbs, you may or may not feel them right away. Be consistent in the dosage and timing. Adaptogens are powerful, but sometimes slow-acting, so it can take up to a few weeks to notice a difference. 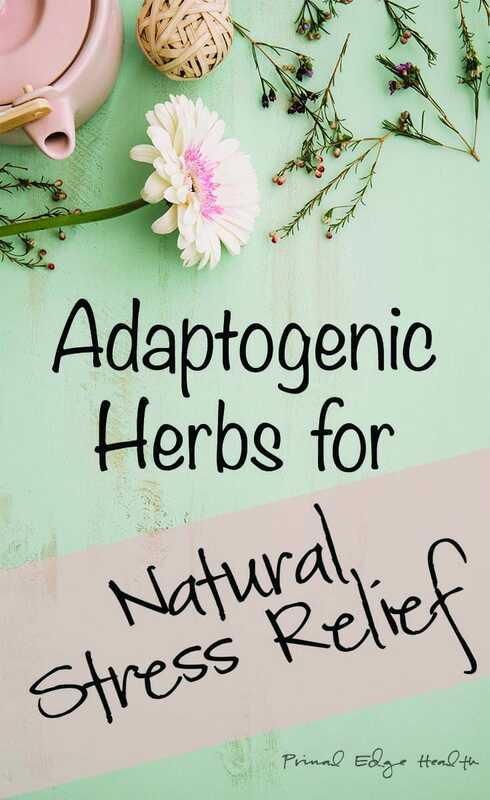 If you are interested in any of these adaptogenic herbs for natural stress relief, please use the links in this article and support Mountain Rose Herbs. We choose to affiliate with them over mega-companies like Amazon because they are a no-nonsense, family oriented business that uses the aim of putting people, plants, and planet over profit as the guiding principle for their business practices. Mountain Rose Herbs is a leading supplier of high quality herbs, spice, teas and essential oils. We have been using their products for years and hope you will too! How do you feel about nut butters? 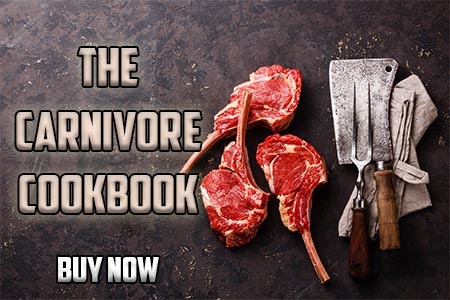 Do you eat them often? Thanks so much, awesome article! ❤️ I intend to look into these herbs to see if any of them help me too. Have you ever tried Valerian root? I used to take it for panic attacks, but I discovered the one I used to buy has rice flour in it 😩 I liked it a lot, but found I had to really dose myself up. Any opinions on Valerian or St. John’s Wort? I’ve tried lots of things like Gaba, 5-htp, etc but should have used a cycling strategy instead of trying so many things. I have used valerian in the context of sleep. I would recommend a tincture from Mountain Rose, I was just looking through these the other night. Valerian is a strong herb that works! It is best for occasional use not for daily and/or long-term. I haven’t use St Johns Wort mostly because it isn’t recommended during prengnacy/breastfeeding (where I’ve spent the majority of the last few years). 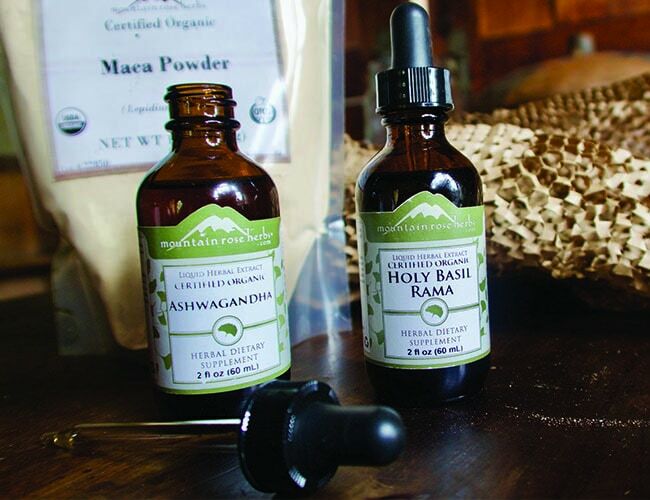 What’s the appropriate amount of drops per day for Ashwagandha? I currently am taking 1 capsule per day (1200 mg) before bed & have found it helpful. I would prefer to take the drops from Mountain Rose Herbs. It would be easy to find the dose that is right for you. Start with 15 to 20 drops and then take it from there. I love herbs too. I’ve been drying mine out getting ready for sipping tea in the fall and winter. Do you grow Maca root? Your in the right zone for that! I would love to try and grow some. I will grow holy basil to add to my cupboard. I try to grow local mainly and tulsi grows very well in our region. I tried to download Maca: The Andean Adaptogen link but it didn’t work. I want to learn more about Maca, it sounds great for me. Thanks for the info and your lovely writing skills! !